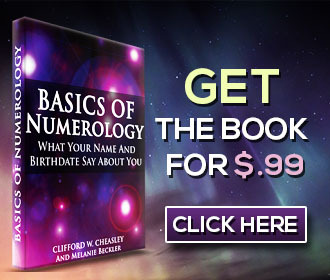 The Numerology of Love, Friendship and Business - Learn The Basics Of Numerology Free, Today! Numerology has some very definite methods for the analy­sis of human association which from mere acquaintanceship runs through friendship, business, to the ultimate of love. It is no longer sufficient for intelligent people to set love apart from all other associations. Rather, it is true that as it is love that makes the world go round, without the presence of this eternal reaction, no individual would even glance twice at another and the situations of family life, business partnership, as well as the more sentimental attachments, would be impossible. With the interpretations of Numerology, it is evident that each personality is really constructed of a collection of energy units; the cells of the chemical body, the nervous system, the mentality, the character and the ego itself. Human association is therefore a matter of attraction and repulsion between these units of living energy in different per­sonalities and its success or failure is not so completely the fault of the individuals involved as we have been led to believe. Those individuals who have a physical, mental or emo­tional structure that is opposed to our own have a peculiar fas­cination for us on the plane of the opposition. Hence comes the belief in the law of opposites which are said to attract, but which while they indicate attraction, do not hold. Those individuals who have an affinity with our vibratory structure, attract us in a less evident manner, but such associa­tion makes for the amplification of the power in a single per­sonality on the plane of the harmony which in time sways the physical conditions and promises lasting harmony. All reforms on all planes of life are born of the unity of the physical work, the thought and the emotion of individuals of similar vibrations, but in the building of individual character through the medium of experience, many associations that are not so harmonious are necessary to offer the resistance in the overcoming of which, bodies, minds and souls are given tests and the opportunity to prove their quality. Human life would be a hum-drum and mediocre experi­ence if every association was always harmonious, for it is only in spite of obstacles that many natures can achieve final happi­ness. Happiness and success are not necessarily permanent con­ditions to which the fact of our human nature and desires entitles us, but rewards that life offers the individual as the price for the surrender of many of the petty ambitions and selfish aspirations so peculiar to our lesser selves. neurologically from comparing the name numbers and the birth numbers of those with whom we are or anticipate becoming associated. In the first pages of this book will be found instructions for numbering the letters of the name for the purpose of deciding personal characteristics. If you have not memorized these in­structions turn to them now and you will see that the first let­ters of the name to be dealt with are vowels, a, e, i, o, u; the addition of the vowels in the name give the “Soul Urge” or deeper nature and motive. Take the complete birth name of yourself and of someone else with whom you are associated in close relationship and compare the final number of the “Soul Urge.” If the numbers are identical, this shows the deeper motives, purposes, ideals and principles of the individuals to be almost identical and marks the basis for harmony in a lasting friendship, love or marriage. Both 2, both 3, both 8 and so on. If the “Soul Urge” numbers of two names are both even numbers, such as one 2 and the other 4, one 6 and the other 8, one 9 and the other 7 there will be found between the deeper natures an agreement upon general purposes and interests, sufficient to overcome the danger of permanent disagreement and misunderstanding, but different enough to give individually different views and angles to the mutual motive and desire. If one “Soul Urge” is an odd and the other is an even number, this shows that the individuals, even when looking at the same subject or prospect, are viewing it from an entirely different angle. Not knowing this as the real cause of why they see things entirely differently, they become intolerant and impatient of each other's opinions, which leads to definite antagonism and recriminations. The viewpoint from which their arguments are deduced is not a mutual one, but it appears to each that it ought to be, or that the other is going out of the way to be either stupid, aggravating, or is taking a delight in pouring discouragement upon a cherished ideal or a much loved principle. To have the same number Soul Urge numbers is the most harmonious and makes a lasting basis upon which to build a love or friendship as well as a single goal to aspire to. To have one “Soul Urge” an even number and the other another even number but of different denomination, is the next most harmonious; to have the “Soul Urge” in once case an even number and in the other an odd, is the most inharmonious and difficult and makes an impermanent basis for future happiness. It is however a natural tendency to mate with our opposites in “Soul Urge Numbers” that makes the experience of marriage so often a disillusioning one. Illusions, dreams and romance which often precede marriage are born in the individual ideal which is for­mulated from the deepest, most personal qualities of the ego, whereas the actual experience of marriage demands the surrender of the personal ideal of both parties for the purpose of building a co-operative ideal and expression which actually is not completely of the nature of one party or the other, but the blending of both. This blending process is so much simpler when the original individual qualities in each character are of a similar vibration than when they are decidedly opposite. There is great development resulting often from the close association of opposing “Soul Urge Numbers,” for if such an experience can be viewed from the more impersonal angle of character building, each party can acquire an understanding and a respect for a principle which before the association and without it would be impossible. The experience, which is always more important than har­monious, disciplines and balances each character to the point where the two sides in every question of life can be better ap­preciated. 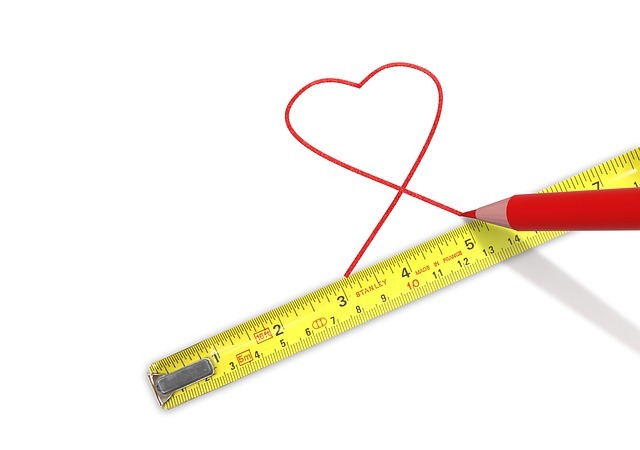 Most humans however are not looking for self-devel­opment and discipline when they contemplate getting married, and the simple rules of Numerology point to how these more difficult things may be avoided, if such is the wish, and, if they have not been avoided, how to understand and what to do about it. Those people who have the same number of “Expression” as that of our own complete name make very good companions for social enjoyment. In the office, the workshop, the studio or the home, we can do many tasks together because although each person may be working for a different objective, the meth­ods employed, the means taken to do things is identical. Trying to make confidantes of these people or expecting them to like the things we like, is often disappointing unless their “Soul Urge” is also the same as our own, and then in that case we sometimes grow tired of seeing ourselves so completely reflected in another personality. If “Expressions” are both even numbers but of different denomination, there is still a good deal of similarity in the methods taken to express although in playing and working to­gether there will be little individual touches which show the different phases of each temperament. To have the “Expression” opposite, viz, one an even num­ber, 2, 4, 6, 8 and another one of the odd numbers, 1, 3, 5, 7, 9 makes it very difficult for the persons to do very much playing or working together. If they wish to develop a mutual idea, it is better for them to agree on the nature and desirability of the objective and then to develop it into two entirely different ex­pressions, which can have two different uses and thus broaden the scope of the idea itself. So long as “Soul Urge Numbers” are more similar, opposition in “Expression” forms the best basis for successful partnerships in business, for each person acts as a new and a different outlet for the mutual purpose, whereas a too great similarity in the “Expressions” of business partners makes for a sameness, a lack of variety, and a duplication of effort. The same Soul Urge number. The Expression numbers both odd or both even but of different denomination. Soul Urge numbers the same or both odd or even numbers of different denomination. Expressions, both odd or even numbers of different denomination. Soul Urge numbers both odd or even numbers of different denomination. The same number in Expression. Soul Urge numbers both odd or even numbers of different denomination. Expressions one an odd number, the other an even. To find an association of any kind between two people where the “Expression” number of one is the “Path of Life” number of the other means that the one who has the particu­lar number as “Expression” is very necessary to the other and is likely to be the channel through which important and de­veloping experiences and opportunities will be given. The “Expression” numbers of two people who are mar­ried or in close partnership can be added together. The sum of this addition will tell, not the effect that one personality has upon the other, but a dominant influence of the association, by which both are affected as well as defining what the experience has meant in both lives, and what they have expressed to­gether. Use the following table to discover what the nine nu­merals show used in this phase of interpreting human asso­ciation. THE SUM OF TWO “EXPRESSION” NUMBERS. fusion but always a test of patience, tact and obedi­ence. has been the means of individual advancement. ment, unexpected experience, and some uncertainty.